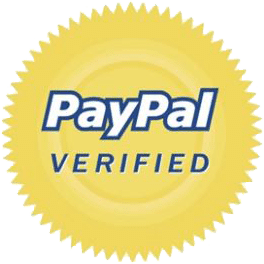 MIchael bought this item recently. 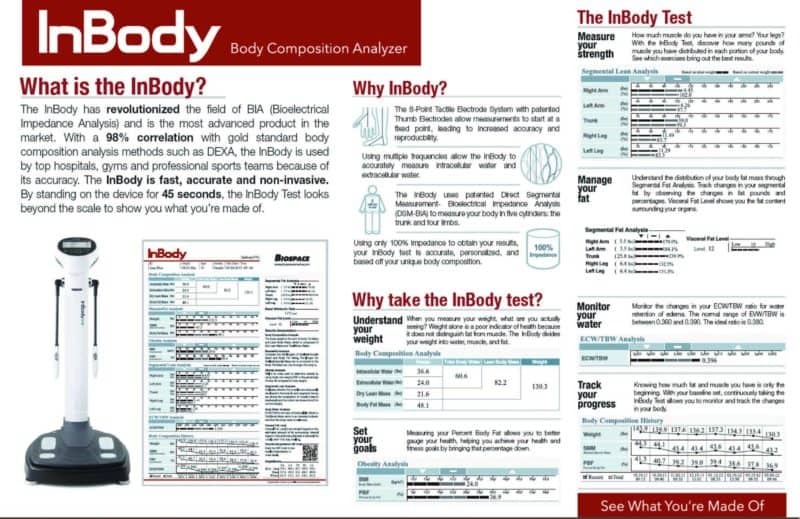 The InBody 570 is a powerful diagnostic tool capable of telling your fat mass, fat percentage, muscle mass in each arm, leg, and torso. 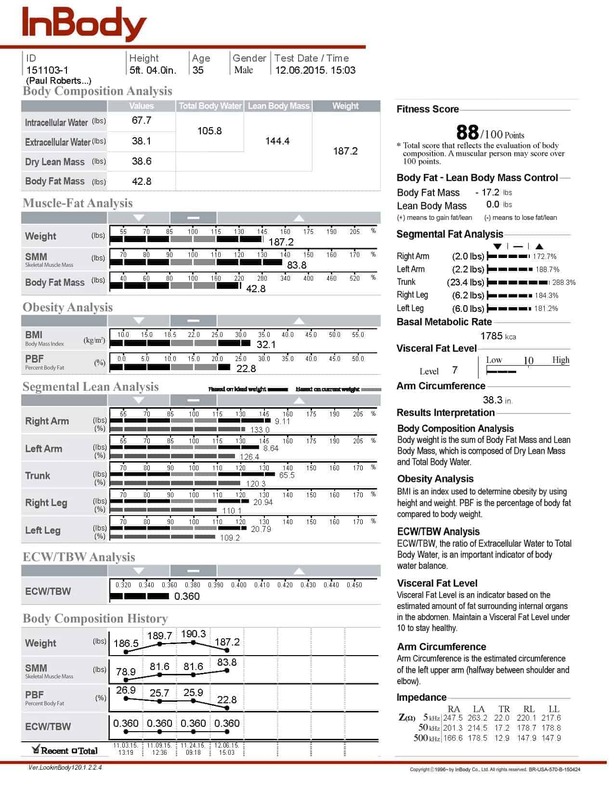 Fat mass in each arm, leg, and torso. 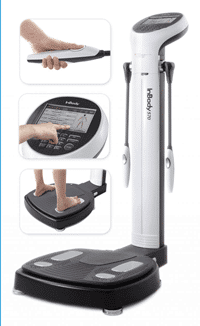 It measures internal inflammation, visceral fat, and extra cellular water. 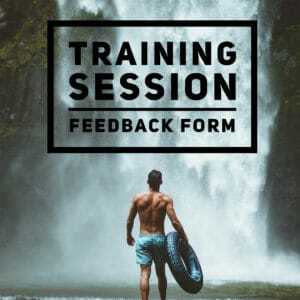 It can determine how much fat you can safely lose, and it charts your progress as you get stronger. We use the Inbody to determine what sort of fitness regime will work for you. 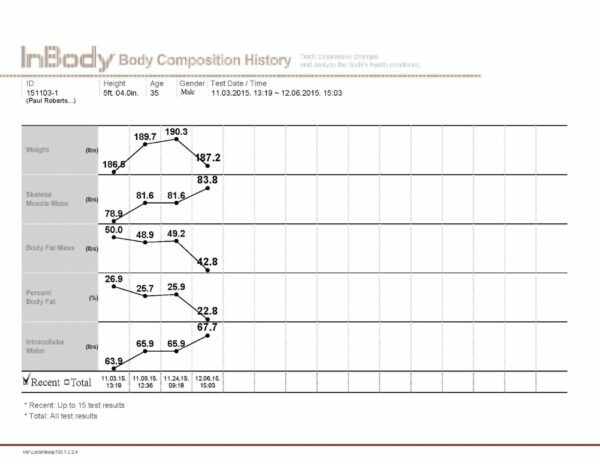 And we use the Inbody to check on your progress to make sure the fitness is working. 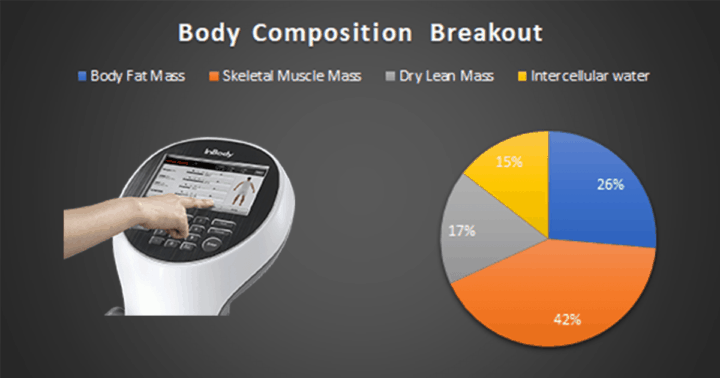 The Inbody 570 measures body fat, muscle mass and inflammation. 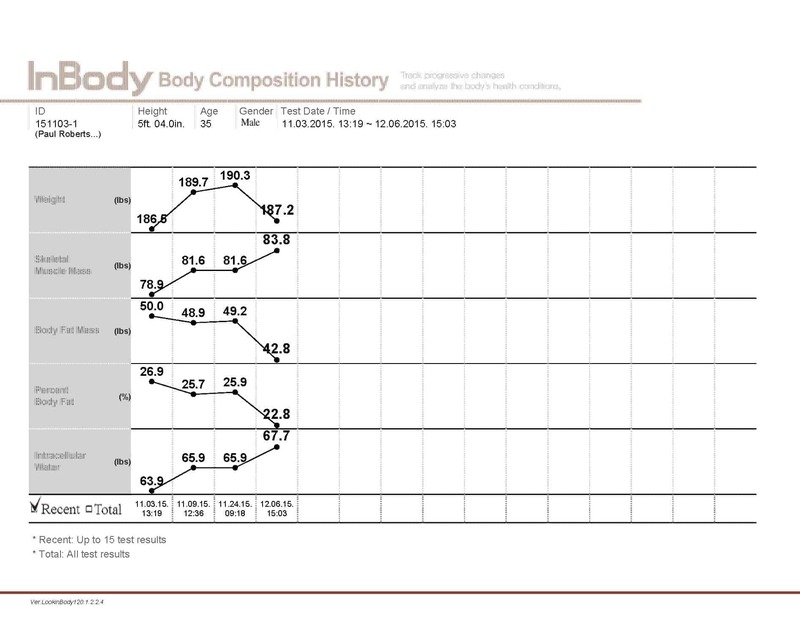 As for body fat, the InBody determines subcutaneous fat, visceral fat, segmental fat (arms, trunk, legs, etc). 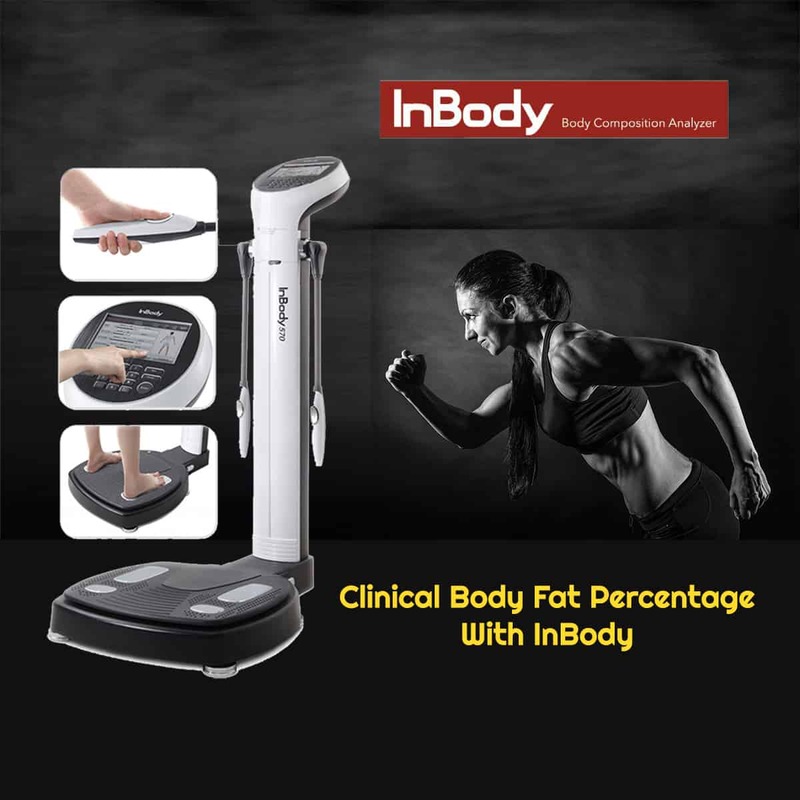 The InBody is considerably more accurate than home-grade machines likes the Omron scales you see sold for $30-$50 on Amazon. 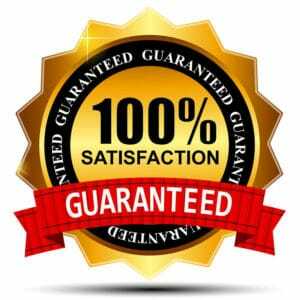 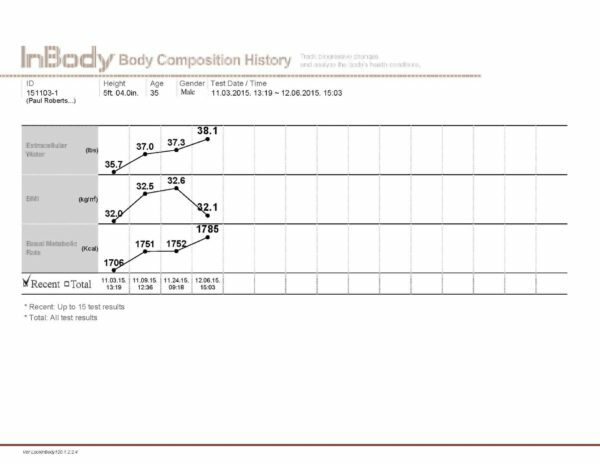 Read more about our comparison to those consumer grade bodyfat scales. 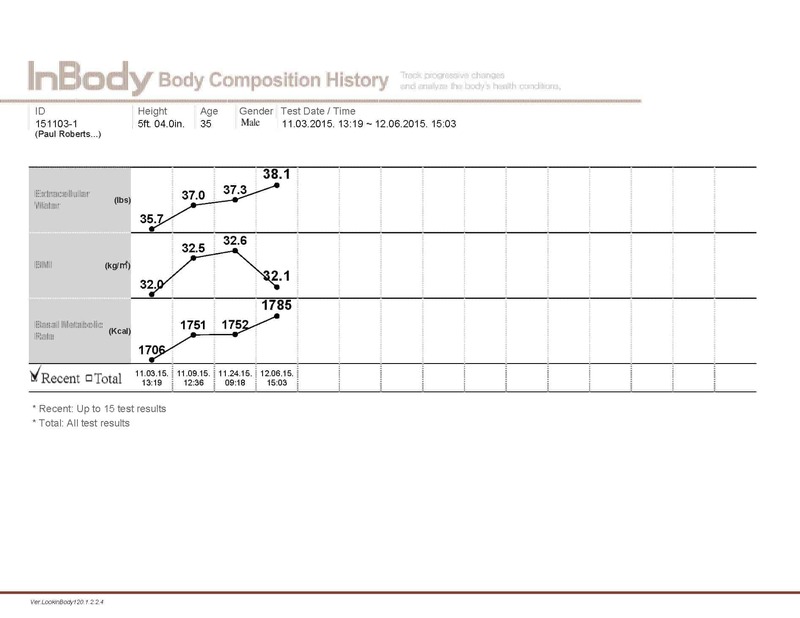 We’ll also provide you with a custom Macro Nutrient Report that determines recommended calories consumption per day. 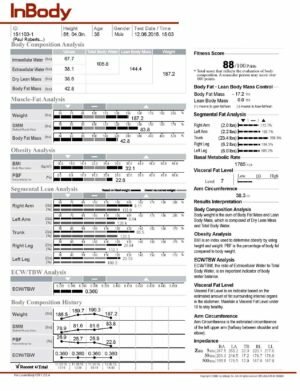 The Macro Nutrient Report will also provide you with recommended amounts of carbs, protein, fat, sugar, fiber, and sodium daily.